Over 50 wraps of Class A drugs were found in a car after a police chase from Sheffield into Rotherham. Armed response officers attempted to stop a car at the Moore Street roundabout in Sheffield city centre last Wednesday for having no insurance. 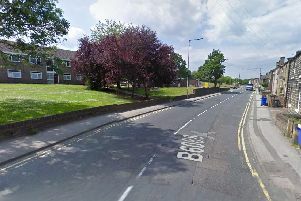 But the driver failed to stop and the car was followed into Rotherham, where it was brought to a halt on the Eastwood estate after a 12-minute pursuit. The car was searched and over 50 wraps of Class A drugs were found. A 24-year-old man, a 20-year-old man and a 17-year-old boy were arrested and later bailed after questioning.